Hey… When you spend all that Amazon gift card/certificate loot please considering clicking through our FFM-Amazon link to do your Amazon shopping. It does not change your shopping experience whatsoever, but it gives us some credit off each purchase — and that helps keep costs down on all of our wonderful products. I should be charging double. Click this link below, and then do your business. Also, if you have a friend or relative or significant other that does all the Cybershopping, and is not in your fantasy league — copy and paste and send the link to them and force them to use it, or disown them for their blatant disloyalty. — The Patriots are forced to care about Week 17 now – playing for their #1 seed, because Oakland can still get the top spot with a win next week and a Patriots loss. The on-fire Pats DST takes on Matt Moore in Miami. Jets QBs were held to 8-of-24 passing, and 0 TD/3 INT in this game. The New England defense was already #1 in the league in PPG allowed…and held the Jets to three points in this one. — The Jets hosts the out-of-it Jags next, which means Bilal Powell should be a decent play. It should also mean Fitzpatrick-to-Marshall overtargeting, as I assume Bryce Petty is done for the 2016 season. I don’t think the Jets will start Christian Hackenberg, but if they do – the Jags DST could be #1 for Week 17. — I didn’t believe before, but now I have to – Dion Lewis getting heavier carries in games is ‘a thing’. After a smattering of carries in games the past two seasons, Lewis took 18 totes in Week 15, and 16 carries in this game. — Malcolm Mitchell came out in this game as Tom Brady’s #1 look right away, and nearly had a TD…and then the game got out of hand and everything got throttled back in the pass game. We projected Mitchell would have a nice fantasy game here – he didn’t have it. When it matters, Mitchell is going to matter. He’s the future in New England. — Now Buffalo decides to have an offense? Tyrod Taylor and Sammy Watkins have been weak…for weeks. Suddenly they’re great Week 16…on most people’s fantasy benches. Hey, unless your back was against the wall or you had limited options, you couldn’t trust those guys after weeks of nothing. If the Bills were smart, they’d shut down Watkins for Week 17 and give Cardale Jones a start at QB. — Jay Ajayi popped another 200+ yard rushing game. Not likely to happen in Week 17 against New England. That’s 2-fer-2 for Ajayi rushing for 200+ against the Bills this season. The Bills played possibly the worst defensive game of any team in 2016. They quit on their coaches. Rob and Rex Ryan will never be seen on NFL sidelines again. Jay Ajayi is one example why. — Cardale Jones against the Jets next week would look interesting. You might think ‘it’s the Bills’ and the Ryans are gone Week 17, so a dead team…all true. The other thing to consider – Bills’ OC Anthony Lynn has put himself in position for an NFL head coaching job, and maybe with Buffalo…and maybe he wants to see what ‘his’ QB can do going into next season? — New coach…and Corey Grant gets a career high 9 carries. I don’t think we’ve heard the last of Grant. He’s a Tyreek Hill-ish guy – a RB more than WR – waiting to be unveiled. Grant got ignored by Gus ‘culture change’ Bradley in 2016, after showing a small spark in 2015 (before getting hurt). — I’m not sure Blake Bortles will be the Jags’ starting QB next season with a new coach, but I know he won’t be in 2018. He’s awful. Another QB who I was right about from the start, and I never wavered, even when he had a lucky, garbage-time run in 2015. Sorry, highly-paid NFL scouts and analysts…I was right and you were all wrong. — Marcus Mariota’s season ended on a downer, but it should not be forgotten how fantasy-great he was this season…derailed the final few weeks due to schedule – Denver, frigid KC, a very tough Jags defense + broke his leg. He’s going to be one of the best ‘buy low’ QBs of the offseason for dynasty owners. His end drowned out how good he was for most of the year. — I famously told a Sunday morning emailer, who asked if Adam Thielen was a consideration for Week 16, something along the lines of – he’s banged up, kinda suspect to be ready to play, and this passing game is head-scratching…I wouldn’t with better options. 44+ PPR points later, that person is ready to kill me. Sorry, to whomever I gave that sweet advice to. I’ve been saying all year – Thielen is the next Jordy Nelson. I just don’t trust him with Zimmer, et al. Going forward, he is part of the best WR duo in-waiting: Thielen-Diggs, but you can’t trust it until Zimmer is gone. — And Zimmer may be gone sooner than we thought. You may have seen the story where his DBs went against/openly defied his orders and made their own coverage on Jordy Nelson. Losing 8 of his last 10 after having the league by the tail in a 5–0 start…and then this open defiance by some of the team’s best players? Mutiny, it is. The team has been playing like a team that hates its coach for weeks…and they may get him overthrown. If so, game on (hopefully) with Thielen-Diggs for the future. No Zimmer. No AP. The shackles will be off. — Winner takes all in the NFC North in Week 17. Bet on all the Packers for fantasy if you need them. If Darius Slay is out again, Aaron Rodgers may throw for 400+. If Slay is there, then only 300+. — Hunter Henry had scored a TD in four of his last five games before this week…and this was shaping up as a great matchup. 30+ minutes before the game I heard discussion of Antonio Gates being 2 TDs short of NFL history (most TDs by a TE in history), I figured Gates was going to have all the red zone/end zone looks…I didn’t think Henry would get ignored. Just 19 snaps and no targets. — Jatavis Brown snuck up and had a huge game, again. 10 tackles, 1.5 TFL, 0.5 sacks. He would have been a Defensive Rookie of the Year had he not missed a few games this season. Who am I kidding? They’re giving that to Joey Bosa, and I will absolutely lose my mind. It should be Jalen Ramsey and then Jatavis Brown…two of our top 15–20 players in our NFL Draft rankings. 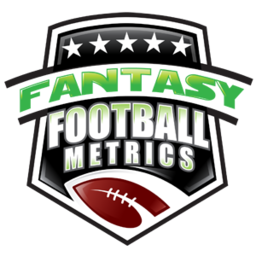 College Football Metrics just a few weeks away! The crystal ball is being polished as we speak. — Tyrell Williams came through with a nice Week 16 effort – 4-64-1 on 9 targets. He’s over 1,000+ yards on the season. Imagine what will happen with a full year of grooming in 2017? — OK, now is Cameron Meredith is star? 9 catches for 135 yards and a TD on 12 targets? You think Tyrell Williams was a great call…I was on the Cam train at the same time. The same draft. Not as highly as Tyrell. I thought Meredith was too far buried, but injuries to Kevin White and Eddie Royal introduced the world to a player who was already the best WR on the Bears…but couldn’t even get activated until the injuries forced him in. He’s the better version of DeAndre Hopkins…with an unknown QB in 2017. — No, the Bears’ 2017 QB won’t be Matt Barkley. As much as people are crowing it might be…5 INTs in this game later was a reminder – no he won’t be. — Jordan Howard? Our draft guide was worth the price just for the ‘Most undervalued for 2016’ report. Howard, Rishard, Mariota among others. Howard is an RB1 next year. I thought he might be a part of a split…no need. They should have a Sproles-type, but I don’t think they will. It wouldn’t matter – Howard is ‘the man’. — Devonta Freeman is fine, but good Lord…Tevin Coleman is terrific. We won’t get a full Tevin enjoyment for fantasy until Freeman is out. As long as Freeman exists, Coleman will be hair-pulling for fantasy. — Julio Jones had a dud – in part because Carolina CB James Bradberry is really coming on. Mike Evans may not be so hot a play next week. Bradberry hasn’t given up on the season at all. — Cam Newton has been a statistical disaster to finish the 2016 season. I’ve never been a fan, but I respect what a weapon he can be. I don’t know if he recovers in 2017. It scares me that he might mostly mail it in the next one to three years and then retire early. I mean that 100%, not just trying to be cute. — Whether in daily leagues or whatever for Week 17 – I know this: Matt McGloin loves Andre Holmes. They have a special relationship. Holmes is a starter-level talent buried in Oakland. — I have to re-watch this to see, but I saw Latavius start slow and then DeAndre Washington and Jalen Richard go nuts. Two things: (1) Murray is a free agent and will likely leave this backfield mess. (2) Washington-Rishard had great days, but consider that the Colts’ run defense is truly awful. Everyone will make a thing of this, but it’s a mirage of sorts. Oakland will let Murray go and split Washington-Richard-power RB next season. — When the Colts make a coaching change, I suspect it will be high profile and could take Andrew Luck to the next level. It could also be a Mike Zimmer or Norv Turner type and reduce him back to up and down…like this season. — Last week, Mark Ingram got in the face of Sean Payton and cursed him out for not giving him goal line carries last week. Ingram got 2 TDs in this one. We know who runs this team. — I wonder if Drew Brees will sit Week 17, or play a half and then sit? Logic says ‘sit’, but Brees is a stat whore and Payton is nuts, so who knows. I’d be wary of Brees and Brees-related players in Week 17. — Doug Martin – his Bucs career just got shortened. He’ll be traded or cut. He costs $7M to roster and $7M to cut, so they’ll cut him if need be. You can’t pay ‘good’ RBs big money in this day and age…it’s ridiculous. Martin signed a 5-year/$35M deal in the offseason ($15M guaranteed). Dirk Koetter says Jacquizz Rodgers was a better matchup…against the Saints? This is trouble, and no way Martin is welcomed nor wanted back after this…nor will he want to be back. We need more stories on how the whole team loves Jameis Winston and what a leader he is. This whole Tampa Bay thing is going to end badly in the next one to two years…the real story has not surfaced yet. It will. — Tyler Lockett had his hands on an early 25-yard TD catch, but as he came down from his leaping grab — a safety came over and blasted the ball away. Later, he caught that 28-yard TD…then reversed…and broke his leg. Game over. He was on his way. Just bad damn luck. — 2,074 total yards and 20 TDs and counting so far for David Johnson. Enjoy 24/7 Ezekiel Elliott as MVP talk on Monday Night Football. — Once Lockett went out, Doug Baldwin went nuts – 4 catches for 46 yards before Lockett went out, 9 catches for 135 yards and a TD once he left (most all 2nd half). It’s pure bad luck if you went Lockett over Baldwin, as I did and advocated for people who wanted/needed bigger points and were making decisions on sit-start once the clock hit 3:45pm ET. — I thought Jared Goff would have had a better game vs. SF than the garbage he put up, but I’ll have to re-watch it because I was glued to ARI-SEA. Looking at the final line and parts I saw – it wasn’t good. — Todd Gurley started somewhat hot and then just faded away. I’ve started to see a media tide turning against Gurley…some starting to blame him for the bad season. His dynasty trade value will be down and then once a new coach is hired there will be glowing, hopeful reports on his 2017. Your window to acquire cheaper is one to two weeks or so. — IDP Rookie sixth-round pick (PHI), later released, CB Blake Countess had 11 tackles and 1.0 sacks in his first real playing time in the NFL. He’s scrappy, but could be a handful behind the scenes. Sleeper for Week 17? — No sleeper performance from Tom Savage this game. Everything he was allowed to do in Week 15, he wasn’t in Week 16. The Texans played not to lose…and didn’t lose. That will be the issue next week and into the playoffs (and in 2017, possibly…unless O’Brien has an entire offseason to build around Savage) – Savage plays QB one way and Bill O’Brien coaches another. — Watching this game live, and rewinding portions of it… What if the DeAndre Hopkins‘ 2016 issue is not the QBs but Hopkins? He’s not open that often. He was not a burner coming out of Clemson. Houston didn’t give in this offseason and extend his contract. — Cody Core had 14 targets outta nowhere this week, and Tyler Boyd just 4 targets. Core is decent, but man is that a ‘tell’ on Boyd’s status right now. — Kenneth Dixon is beyond impressive as a runner. 210-215 pound runners are usually sketchy for the NFL…too slow to succeed, too small to be power guys. Dixon is very strong and quite shifty. Some guys just have ‘it’…he does. He’s like a smaller Jordan Howard. — Darren Waller is starting to catch my eye again. He is gaining more confidence and seeing more playing time. He’s buried on the Ravens right now, but someday…maybe. Skinny Jimmy Graham-ish. — Michael Campanaro saw a handoff early, a 23-yard scamper. A ghost the rest of the game. He could be an impact WR in the right situation – hopefully, he finds a roster spot elsewhere in 2017. Keep an eye on where he lands…if he could ever stay healthy. — Tyreek Hill is awesome, but here’s what’s odd…no catches the last two weeks on 8 targets. Some of that is bad throws/not open. This week a few dropped passes in the rain. Some of this is teams are focusing on him and taking away the easy, quick hitter and doubling him medium-deep. He’s going to have to learn to be a real WR in the offseason. — Cris Collinsworth pointed it out too, but 2014 6th round pick of Dallas, now Chiefs CB Terrance Mitchell is playing great ball the last few weeks. KC’s coverage has totally changed with Mitchell rising up the last few weeks, outta nowhere. 4.3 tackles and 2.0 PDs per game the last 3 weeks. — Kalif Raymond? New Denver KR/PR and proclaimed ‘fastest guy on the team’ last night? Hmmm. Not sure about all that. Very thin-framed, small (160 pounds) kinda fast UDFA rookie out of Holy Cross. He’s quick, but not built for the NFL. 142 returns in college, 3 TDs…not bad, but it was the Patriot League level of play. I don’t see a sleeper here.